The saying “something old, something new, something borrowed, something blue” actually came from an Old English rhyme. 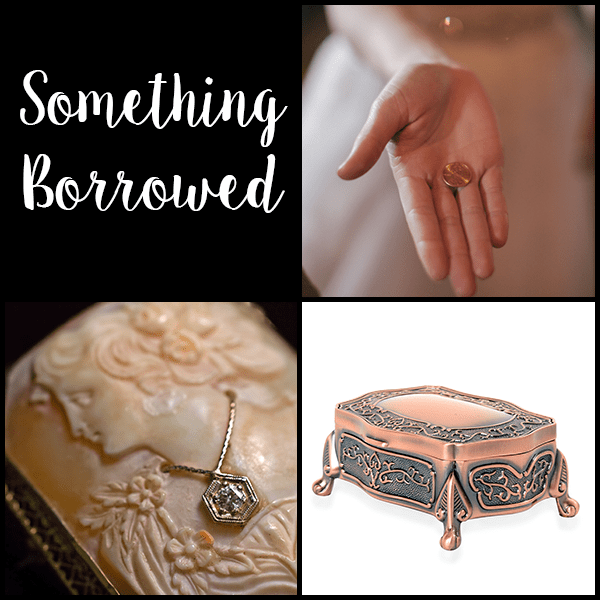 These four objects are supposed to be added to the bride’s wedding outfit or to carry with her on the big day. It is said that it will bring her good luck on her wedding day. Whether you are a little superstitious, or you just enjoy receiving meaningful trinkets, here is a list of baubles that can help you make your big day even more special! Something old represents continuity. Some brides are fortunate enough to have a family heirloom that they can walk down the aisle with. If you don’t have an inherited piece from an older family member, don’t feel like your big day is ruined. This is the perfect opportunity to start your own unique tradition. Instead of incorporating something that is conventionally old, you can opt for something oldish. When we say oldish, we mean vintage-inspired jewelry. Nothing pairs up with a gorgeous dress (and your dream guy) better than a classically designed piece of jewelry. Vintage-inspired jewelry features stunning qualities and are very on-trend for bridal season. Check out this detailed cuff for instance. It is laced with diamond accents and crafted in sterling silver with platinum overlay. 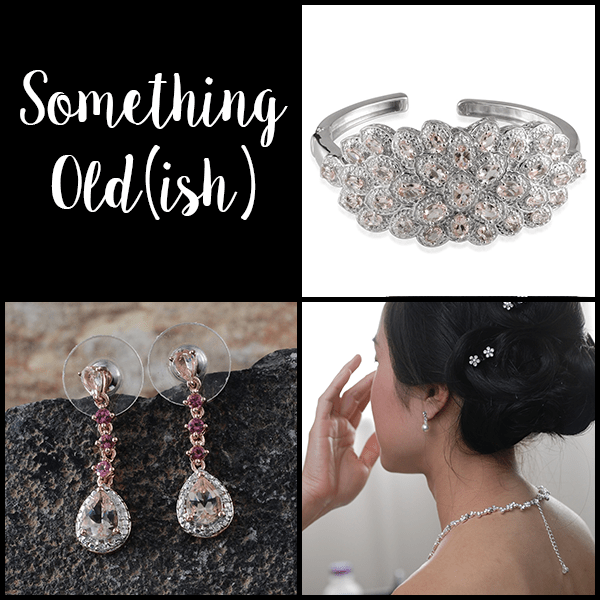 Deciding to wear something timeless, like pearls or diamond studs, is also a great option for the “something old” category. Since pieces like this pair of diamond earrings are timeless, you can pass them down to your daughter or granddaughter for their special day. That’s how a piece of jewelry becomes a family heirloom! Something new offers optimism for the future. It’s also probably the easiest category to shop for! A neat way to include something new in your wedding outfit is to focus on a trend. Fashion trends always represent what’s new or up-and-coming. A bridal trend we are currently in love with is bridal headbands. A headband is a modish choice for a hair accessory on the big day, and it adds a delicate final touch, especially if you’re a bride who chooses not to rock a veil. 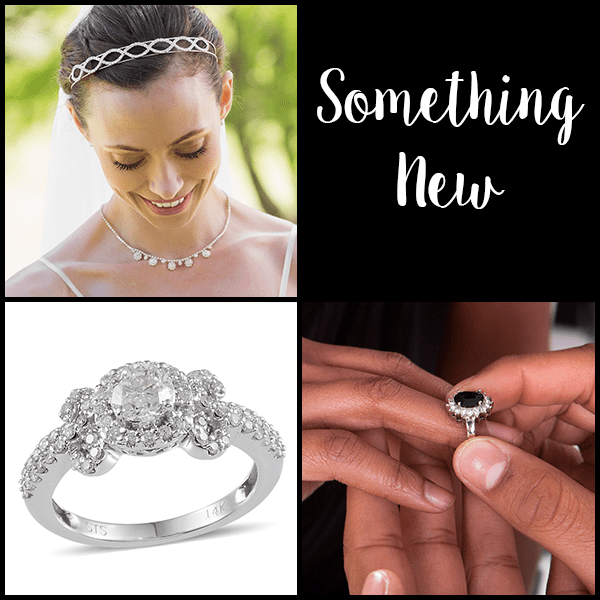 An engagement ring can also be your something new. As designers get more creative and intricate with engagement rings, you can effortlessly find the ring of your dreams. Who wouldn’t be optimistic about that?! Something borrowed symbolizes borrowed happiness. Many women borrow something from a friend who has a successful marriage. The best thing about this category is that it could really be anything. Get creative and have fun with it. Pinterest is a wonderful tool to use for ideas. Although we don’t recommend you borrowing anything from a store, we do recommend you keep it safe until you return it to its original owner. Our jewelry boxes and accessory organizers are perfect for this task. Something blue stands for purity, love and fidelity. 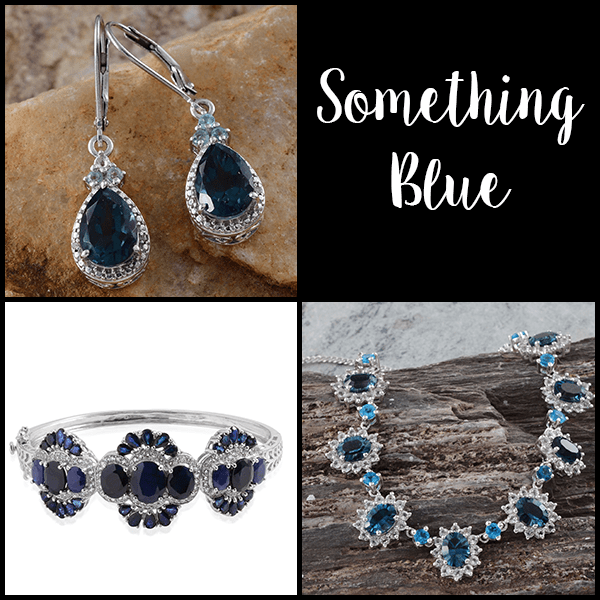 From gorgeous sapphire to serene topaz, there are several blue-toned jewels that will make you shine on your big day. Check out some of our favorites above for inspiration. When all is said and done, the most important thing is that you take it all in on your big day. Bridal baubles are spectacular, but make sure you aren’t too caught up in the little details to enjoy it all! Do you have any clever ways to incorporate something old, something new, something borrowed and something blue? Share your ideas with us in the comment section!